I just completed another marathon of BSG 2003. As the owner of the amazing 30DVD pack (30, 40, 50? 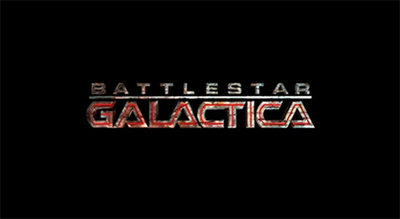 discs), there comes a time each year when the BSG universe needs a re-visit. I was too young for the original BSG. Yes, I know, using the term “too young” makes the original BSG aaaaaancient. I recall the original BSG as something looked upon as something weird, not-so-cool, with uncool special effects and a weird premise. What a mistake! I experienced the BSG universe only through the new redoing. It blew my mind. I loved the darkness, the losses, tragedies, deaths, suffering, blood, guts. This was the first time that something was real, raw, hard, bloody, ruthless. It was all about survival for a species faced with total annihilation form a supremely-powerful enemy that knew you too well. Each death hurt, each tragedy was personal, every plot twist was a surprise. Ignoring some of the vacuum-dynamics (aerodynamics without the aero), all is awesome. Graphics have not been outdone by time. You live the space battles, get the brain wired with weird manoeuvres, die with every killed pilot and move your head when space debris comes your way. It is real (unlike the “Gravity” bull…). I find myself torn between the characters, wanting to be each one and then pondering their (mine?) choices. Would I have been as tough as Odama, making the deadly decisions resulting in so much death? Would I be as rebellious as Apollo in going against the norms and standardised expectations? Could I be so two-faced as Sy? What would I do as the President (whichever)? How many times would my decisions have led to more people dying or when would I have been much tougher (less humane) than them? This show is about power – its ultimate applications that take individuals to their gory deaths but assure the survival of the species. This is absolute power and politics and war. As an economist, you get scared about their resources, consumption and human issues. As a technologist you get headaches considering the issues of space travel and maintaining their technological base. As a sociologist… of My God!!! Panoptic principles, Stockholm syndrome, etc etc etc etc…. etc. In one place you have inter-species conflict, genocide (and its psychological results), terrorism, kidnapping, murder, sacrifice, suffering, weak-becoming-strong, strong cracking under pressure, leaders emerging from nowhere, population needing new babies, abortion, religion, mafia, money, food, slavery… and sooooooo much more. Drop on top the God component and you have a mind-blowing experience. How do you fight, defend and survive, when everything was predefined thousands of years ago, gods planned your every move and they do not care about you, as you are a cog in the machine. Question to BSG freaks: was Starbuck real in the second half of 4th season? Or was she sixth-sensed? BSG is biblical. All the weird and unbelievable things in world religions are there. Blind faith, crazies being sanctified, sects emerging, people dying for their beliefs, unstoppable enemies, failures and resurrections and invisible gods who planned everything eons ago and now sat back to watch the show.